Earlier, a badly infected tooth, or one that just had significant decay, was doomed to be extracted. Today, the majority of these teeth can be salvaged by the Root Canal Specialist or the Endodontist. 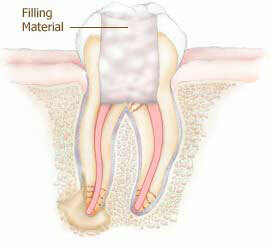 When a tooth’s nerve tissue or pulp is damaged, it breaks down and bacteria begin to multiply within the pulp chamber. 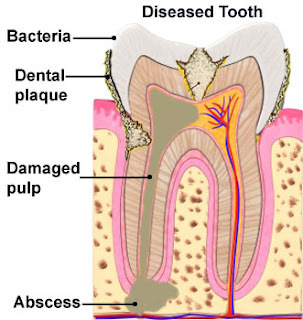 The bacteria and other decayed debris can cause an infection or abscessed Tooth. Severe pain, swelling, sensitivity to hot or cold, or a darkening tooth, are signs that a root canal problem exists. Root Canal Treatment procedure is started by drilling the enamel part of the tooth, that is topmost portion of the tooth. First the Dentist enters the pulp chamber, where the infected pulp is present. The next step is exploration of root canal, removal of the remaining pulp tissue and infected tissue. The infected pulp is then drilled out and the root canal is disinfected with the help of intracanal medicament like essential oils (eugenol), phenolic compounds, Sodium Hypochlorite and iodides. Finally filling of root canal is done with an inert filling material called gutta percha. Endodontic treatment saves teeth that would otherwise need to be extracted. 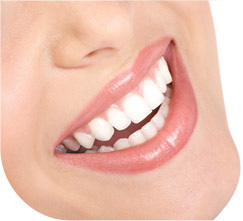 Saving your natural teeth, if possible, is the best option. Occasionally a tooth cannot be saved. 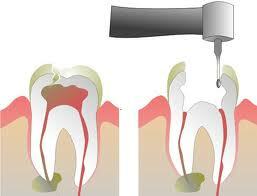 Endodontic treatment can be performed only if the root canals are accessible and can be adequately cleaned and sealed. The tooth must also have sufficient bone support. Thangam's Dental Clinic, Chennai is one of the best dental clinic in India offering best root canal procedures at affordable prices.